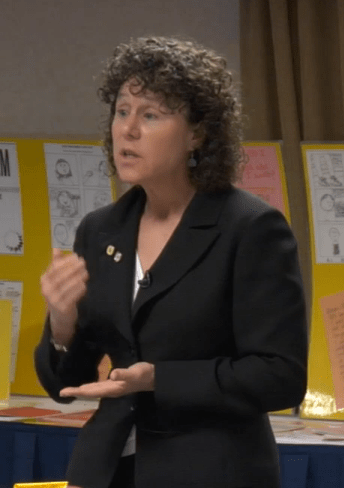 This is author, keynote speaker and workshop trainer Ruth Herman Wells, M.S. This article is one of the most important I've ever written. That is why we are making it one of our introductory articles for Youth Change Workshops' Behavior and Classroom Management Problem-Solver Blog. This is Part 1 of 2 sections. Feel free to share this critical, must-know safety information about violent students, with your colleagues and administrators. 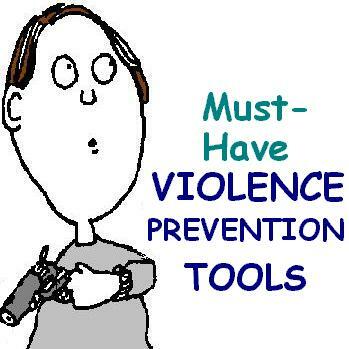 There are three types of kids who may be at the highest risk of extreme violence. Obviously, you must take seriously any threat or indication of danger from any kid, so if a dangerous child you know doesn't fit one of these categories, please don't just breathe a sigh of relief. Rather, the point of emphasizing these three top-risk youth, is to have you apportion your time wisely. You can't monitor each child equally. This information may guide you on who you monitor most closely, especially in the absence of other events or information to guide you. In this space, we will have time to cover only one of these violent students in any kind of detail. We will cover the second two types of students in the third issue of this magazine, plus we'll expand a bit on the information covered here. Our information on the 3 most violent students was first published by The Child Welfare Report in 1998, and is updated and revised here. The youth at highest risk of extreme violence may be the conduct disordered child. If you don't already know this term, visualize the fictional character, J.R. from the TV show "Dallas" because the hallmark of being a conduct disorder (CD), is having no heart, no conscience, no remorse. Only a mental health professional can diagnose a conduct disorder for sure, but being aware that you may have a conduct disordered child in your class or group, is important to ensuring your safety, along with the safety of your students, because you work with conduct disorders completely differently than other kids. Since the child with CD has no conscience or relationship capacity, you should not use relationship-based approaches with a diagnosed conduct disorder. It would be insensitive to call a conduct disorder a "baby sociopath," but that is close to what the term means. It means that the child acts in ways that appear to be seriously anti-social, and the concern is that the child may grow up to be a sociopathic type of person. Since this child cares only about himself (CDs are predominately male), there are little brakes slowing this child from doing serious or extreme violence. Not every conduct disordered child will engage in horrific behavior. There is a range of misbehavior student with CD may get involved with, ranging from lying to setting fires or being a sexual predator. At the most serious end of the spectrum, lies the possibility of extreme violence, such as a school shooting. Sadly, youth with CD are often your violent students. In our workshop, we spend at least several hours helping you understand how to work with students with conduct disorder. You can come to one of our workshops, get the workshop online or get some of our books or ebooks that teach you how to work with this most hard-to-manage, violent student. But do something to make sure you thoroughly understand how to work completely differently with this violent student than any other child. Your safety– and that of your students– depends on how well you understand and manage these potentially violent youngsters. The main point we give in our classes is that these children operate on a cost-benefit system, and that to control your students with CD, you must keep the costs high, and benefits low. These children also especially need to pro-actively learn how to manage their fists, mouth, and actions. Your goal is to teach them that when they hurt others, it often hurts them too. All interventions must be in the context of "I-Me," because that is all this youngster is capable of caring about. There are so many "DON'Ts" that it's hard to know where to start. Even more problematic, many of the ordinary techniques that you use with other kids utterly fail with CDs, and are actually quite dangerous to use. Here are several of the most critical concerns to be aware of when you work with a diagnosed– that's the important word here– conduct disorder. Without the diagnosis, use these guides especially carefully. It's important to note that a little bit of information can be a dangerous thing, so be sure to upgrade your skills on CDs more thoroughly than reading this brief introduction. You can easily use our resources for this purpose. Since safety is always a serious concern when working with CDs, there is no substitute for learning more than the headlines listed here. DON'T have a heart-to-heart relationship. DON'T work on building trust. DON'T rely on compassion, caring, empathy, values, morals. DON'T believe they care or feel remorse. Hopefully this brief guide to the hardest-to-manage, most potentially dangerous youth will help you avoid using everyday interventions that will be unproductive, even dangerous. Hopefully this information will steer you towards relying on non-relationship-based interventions that emphasize learning skills like anger control, managing the fist, etc. along with firm rules, boundaries and limits. Be sure to visit the web site for more information you can access right now. If you do come to our Breakthrough Strategies to Teach and Counsel Troubled Youth Workshop, we'll spend as much time on this complicated child as you want. Or, you can arrange an on-site workshop presentation on violent students held at your site for your staff. Need an online alternative? 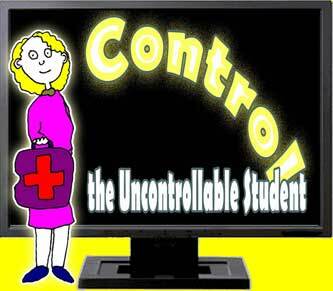 Our Control the Uncontrollable Students Online Class has what you need, plus 1 free clock hour. If you prefer to read, check out our All the Best Answers for the Worst Kid Problems: Conduct Disorders and Anti-Social Youth book or ebook.